RSVP COMINHKPR78581 - Overall width - Side to Side: -2. 25". Overall product Weight: -02 lbs. Makes round shaped ice cream portions. Dimensions: overall Length - Top to Bottom: -7. 75". Overall depth - Front to Back: -1. 25". Stainless steel. 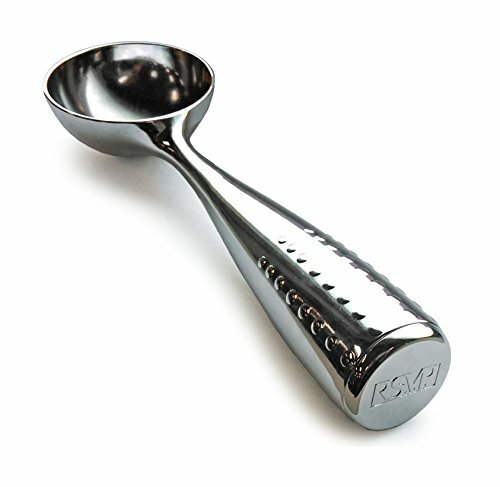 Product type: -Ice cream scoop. I-scp features: -made from chrome plated die cast zinc alloy. Dishwasher safe. Dishwasher safe. Vintage spirit with modern style. Contains no heat producing chemicals. RSVP I-SPD - Crated from chrome plated zinc alloy, this stylish and modern ice cream spade comes with a flat, wide head that makes mixing toppings into hard ice cream effortless. Perfect for preparing hard ice cream. Easily scoop hard frozen desserts with this Endurance ice cream spade from RSVP. The perfect tool for a home of dessert enthusiasts, the spade is dishwasher safe. 8-3/4" l chrome plated zinc alloy. Dishwasher safe. Wide head design with narrow edge.